Tunisia has entered 2019 still shaken by the acrimony between its two largest political parties, the liberal Nidaa Tounes and the Islamist Ennahda, which have locked horns over a range of issues, including the handling of the economic straits which have been the source of mounting popular discontent. The rivalry is playing out against the ongoing regional upheaval, most notably in Libya, Syria and Sudan, the repercussions of which have aggravated tensions in a country widely regarded as a model of democracy in the Arab region. This climate has raised concerns over the future of consensus politics between Nidaa Tounes and Ennahda. 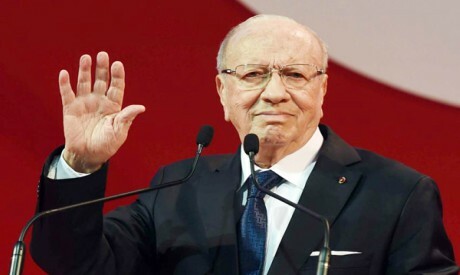 In September 2018, Tunisian President Beji Caid Essebsi, founder of Nidaa Tounes, announced the end of the “national consensus” his party had struck with Ennahda five years ago. Tensions had been mounting between the two parties against the backdrop of rifts within Nidaa Tounes, which had swept the general elections in 2014 enabling it to dominate the executive and legislature but lost its parliamentary majority last year following a wave of resignations. Taking advantage of this, Ennahda struck an alliance with Essebsi’s former ally and fellow party member Prime Minister Youssef Chahed. The ruling coalition collapsed, and Chahed formed a new government that won a parliamentary vote of confidence in November largely due to support from Ennahda. Tunisia will be heading into general elections again this year in October. It is unclear whether they will be held in accordance with the same laws that applied four years ago, however, and parliament may amend the electoral laws in the light of predictions that Chahed will move to consolidate his alliance with Ennahda and secure the party’s support for his bid for the presidency in October. Last year, the Chahed government was rocked by mounting discontent over the country’s economic straits and the government’s inability to respond to popular demands for salary hikes to offset inflationary pressures. Mass demonstrations erupted in many parts of the country, especially in the poorer south, to protest against rising prices and deteriorating standards of living. The ongoing terrorist threat has compounded the strains and continues to pose a major challenge to the country’s security services. Essebsi’s sponsorship of a bill to provide for gender equality in inheritance should be seen in the context of his party’s rivalry with Ennahda. The bill, which precipitated widespread controversy in Tunisia and elsewhere in the Arab region, was hailed by women’s organisations in Tunisia, but it broadened the gap between Essebsi and Ennahda. The latter is now likely to block the passage of the bill in parliament now that it holds a majority following the fissure in Nidaa Tounes. At the weekend, demonstrators in Tunis protested against the law intended to grant women equal rights in inheritance. Ennahda has been accused of orchestrating the demonstrations in advance of the parliamentary vote on the bill. Meanwhile, Nidaa Tounes saw another rupture on Sunday when Maher bin Dhia, a member of its political bureau, announced his resignation from the party. In a posting on his Facebook page, Bin Dhia said his resignation had been motivated by “personal and objective” reasons. In a statement to the press he explained that the party was no longer right for him because of the divisions within it and indicated his desire to move to another party from the “democratic family” in Tunisia. Differences over regional issues round out the picture of deteriorating relations between Nidaa Tounes and Ennahda. On 5 January, Tunisian Foreign Minister Khemaies Jhinaoui flew to Cairo to meet his Egyptian counterpart Sameh Shoukri to discuss preparations for the forthcoming Arab Summit scheduled for March in Tunisia, as well as a number of regional issues, most notably the situations in Syria and Libya. Reports in the press have said that Cairo and Tunis are of similar minds regarding the possibility of Syria’s return to its seat in the Arab League, but no official sources from either side have clarified the two countries’ stances on the matter. In Tunisia, however, officials and MPs from Nidaa Tounes and other secularist parties have announced their support for Syria’s return to the Arab League and its attendance at the Summit in March. Ennahda is unlikely to agree with this, though it has yet to declare its position on the matter. The two parties also appear to be at odds over developments in Sudan, which has been rocked by over two weeks of protests against price hikes on basic commodities and deteriorating economic conditions. Liberal and secularist parties in Tunisia have decried Khartoum’s clampdown on the demonstrations, while Ennahda and its allies have maintained a cautious silence. The handling of the situation in Libya enjoys a general consensus among Tunisia’s political parties. Tunis is currently preparing for a meeting between the members of the Libyan Presidency Council, chaired by Fayez Al-Sarraj and UN envoy to Libya Ghassan Salame. Tunisia is seen as the strongest candidate for hosting the Libyan National Conference that the UN hopes to hold this month with the backing of the international community. Tunisia is also working to revive the Arab Maghreb Union (AMU). In February, Tunis will host a meeting of the foreign ministers of the five members of the AMU, Libya, Tunisia, Algeria, Morocco and Mauritania. If they can overcome their differences, they could then proceed to a summit meeting and set the AMU back on track to realise its goals, a process that has been hampered by political and economic disagreements between Algeria and Morocco. The AMU seeks to realise closer economic and political integration between its member states, an aim that is also the subject of a general consensus among Tunisia’s political parties.